dates from 1896 and is still in use. The construction of the San Joaquin River bridge completed the last link of the transcontinental railroad. Building has proceeded simultaneously from the bay area and Sacramento to meet at the San Joaquin River. 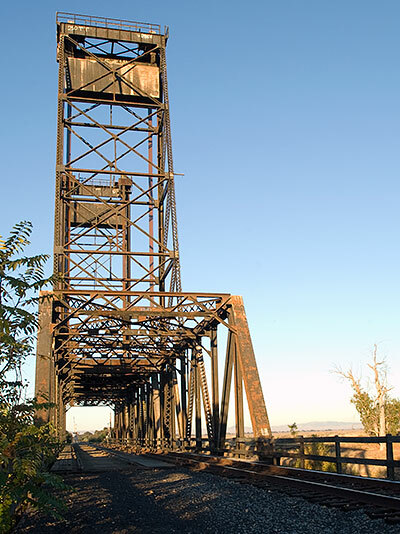 The first train crossed the bridge on September 8, 1869. Until recently, this stone base contained two plaques. At the top was the plaque for California Historical Landmark #437: Sailing Launch Comet, and below it was the plaque for the Transcontinental Railroad. The plaques were in place as recently as 6 August 2006 when they were photographed for Waymarking.com. 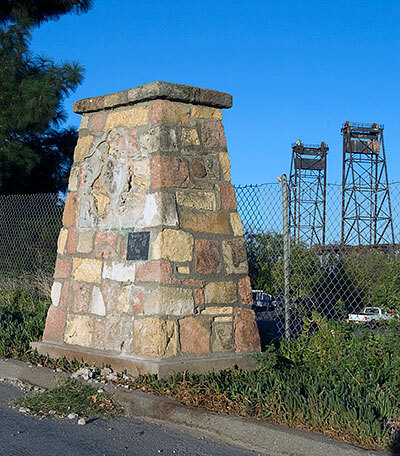 Ten miles from here, the plaque for California Historical Landmark #777: Site of San Joaquin City is also missing.